You may have to start telling your kids to pass the video game remotes to their grandparents. 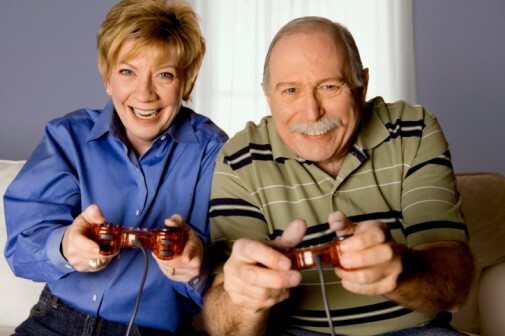 Reportedly, playing video games, if you’re part of the senior and boomer set may be good for your emotional health. According to a paper on a study to be published in July, researchers examined 140 older adults, age 63 and older, to determine if they played video games at all, and if they did, how often. Researchers from the study, supported by the National Science Foundation, also had participants take a battery of tests to assess their emotional and social well-being. The paper, published online this week in Computers in Human Behavior, revealed that those who played video games, even if they played them occasionally, reported higher levels of well-being. Those who did not play video games reported more negative emotion and a tendency toward higher levels of depression.